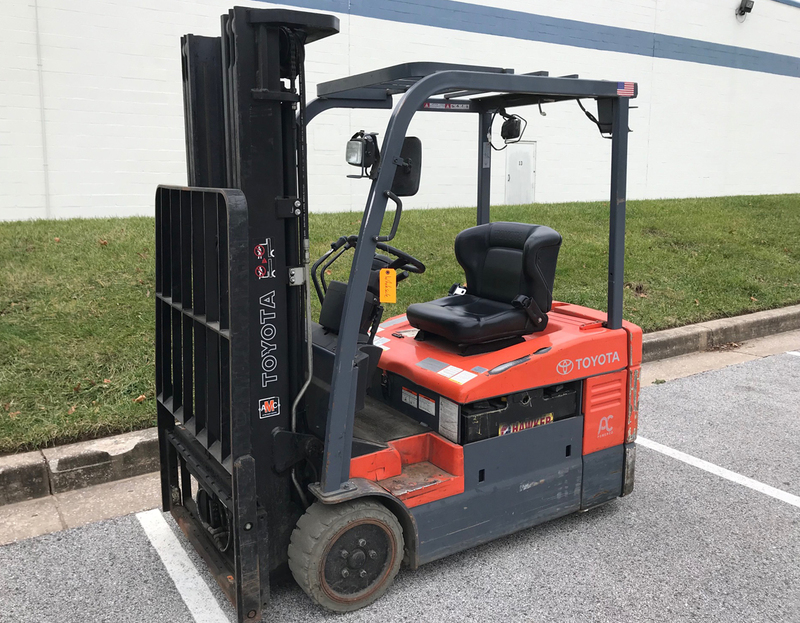 Sun Equipment offers this 2011 Toyota 7FBEU18, 3500 Lb Capacity 3-Wheel Electric Forklift with 36V Battery, 83/189 Three Stage Mast, Side Shift, Runs Great, Call Mike at (757) 333-4900 for more details. 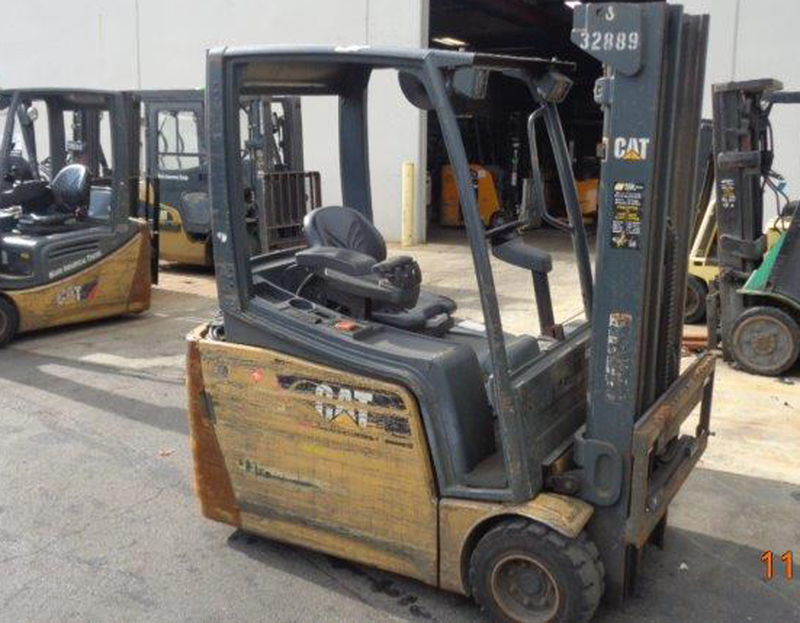 2013 Cat 2ET4000, 4000 Lb Capacity 3-Wheel Electric Forklift with 48V Battery and Charger, 83/189 Three Stage Mast, Side Shift, Runs Great, Call Mike at (757) 333-4900 for more details. 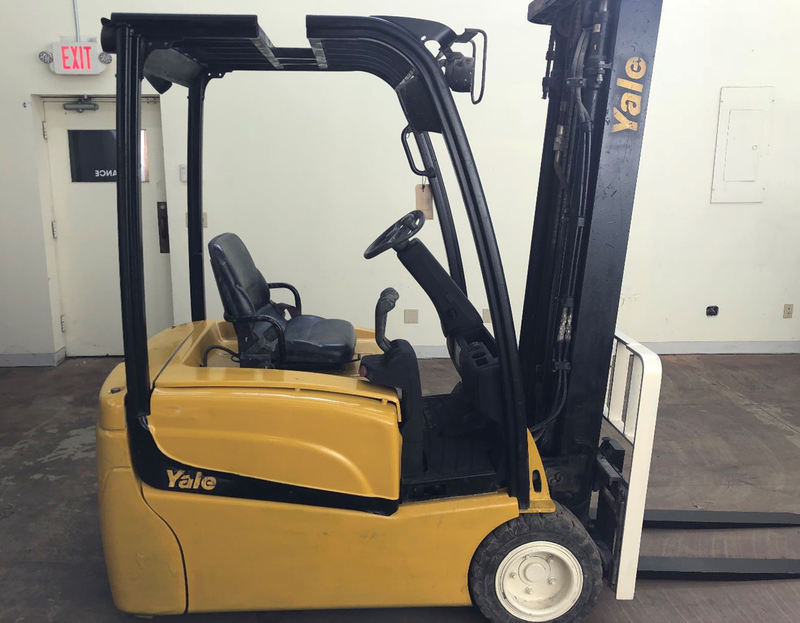 2014 Yale ERP040, 4000 Lb Capacity 3-Wheel Electric Forklift with Pneumatic Tires, 36V Battery, 87/198 Three Stage Mast, Side Shift, Runs Great, Call Mike at (757) 333-4900 for more details. 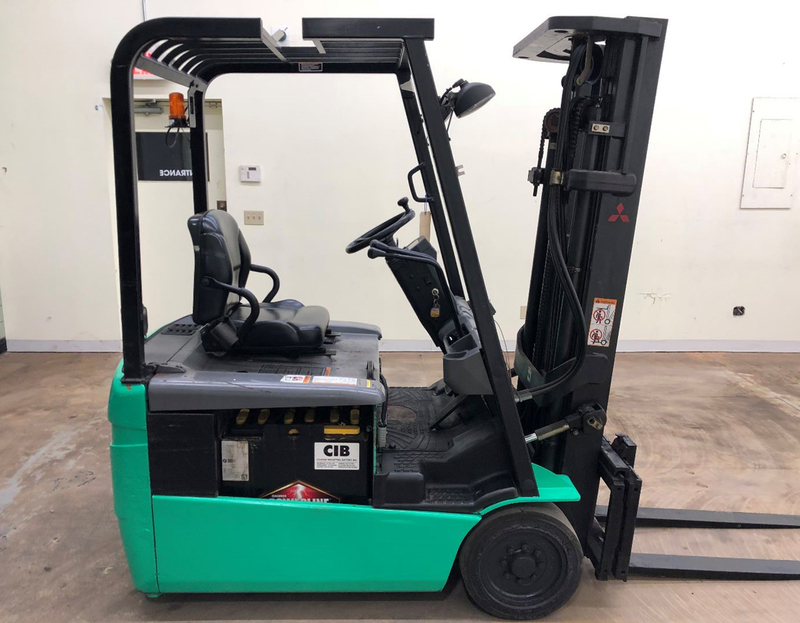 2005 Mitsubishi FB16NT, 3500 Lb Capacity 3-Wheel Electric Forklift with 36V Battery and Charger, 83/189 Three Stage Mast, Side Shift, Runs Great, Call Mike at (757) 333-4900 for more details. Some shoppers may feel that purchasing a used product is settling for less than ideal. Sun Equipment disagrees! Our narrow aisle forklifts may be used, but they are guaranteed to match the performance of today’s latest narrow aisle forklift models. There’s no need to spend too much money on something new when you can find just as much satisfaction from Sun Equipment. Each of our narrow aisle forklifts is tested and inspected to ensure superior quality, which means you get a trustworthy product backed by guaranteed customer satisfaction. Browse our broad selection of narrow aisle forklifts to see the diversity we offer, and take advantage of our low-price guarantee!